Volunteers are an important part of communities nationwide. Many non-profits depend on them to deliver services and make a difference. Here are our top 12 volunteer engagement tips for 2016: Ensure that your organization’s values and goals align with the experience your volunteers are looking for. Informal volunteer recognition is often more effective than formal methods. Volunteers should receive training specific to their volunteer role and their individual needs. 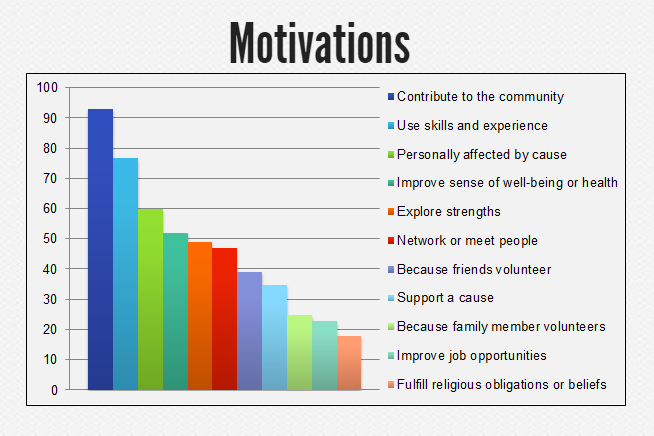 Discover what motivates your volunteers. Youth are more inclined to join their friends, so consider offering them group volunteering opportunities. Family volunteers want opportunities where their kids can actively participate. Some volunteers enjoy public recognition while others prefer to hear it one-on-one. Current newcomer volunteers can serve as cultural bridges to engage new volunteers. When engaging big groups of volunteers, organize several different activities to happen at the same time. This makes organization easier for you and gives them options. Today’s volunteers want to find more information online. Post your volunteer opportunities and details about your volunteer program on your website or social media page. Employer-supported volunteers often want tasks that are different from their work. When training volunteers, provide clear information about your organization and the specific tasks and scope of the volunteer position. Follow @VolunteerCanada on Twitter for more tips!